Diversity of opinion embeds the human experience of knowing, or trying to know. Politics occur because citizens differ on how best to run the nation or state. But there are limits to diversity. We don’t get to make up our own minds on whether gravity will work or if Stop signs mean what they say, and we don’t let everyone have their own opinion when it comes to scientific research. The moment we utter the word “science” we enter into the categories, methods, and peer-reviewed work of scientists, like Gregor Mendel (pictured). Which is one reason creationists struggle, and Jason Rosenhouse, in his book Among the Creationists, chronicles some of the elements of the rhetoric of creationists that mean they will continue to struggle if they choose to operate outside science as if they are doing science. When I see someone in the Christian faith disrespect scientists, I walk away grieving for their listeners. I know too many (non-Christian) scientists and professors and professional researchers and, while there is the exceptional quack and ideologically-driven scholar who corrupts evidence in order to mediate an ideology, my experience has been one of observing widespread professional integrity and consensus scholarship and critical interaction with the evidence by the best in the business. When a wide array of scholars tell me the universe is 13.5 billion years old, or when they tell me Lucy holds some secrets, or when they show a scattering of studies that all come to the same conclusion, I don’t think “conspiracy,” I think “conclusions.” Too many creationists gravitate to conspiracy when they ought to be moving toward conclusions. For some there is too much at stake, and not enough truth at stake. Why do you think so many in the conservative Christian community are suspicious of the scientific community? The problem I see here is that science is not politics. The either-or and the Us vs. Them and the Believer vs. Unbeliever approach, which leads far too often to one side developing its own rules and words and definitions and rhetoric, will not win the day. We don’t vote on an equal basis for the age of the universe. What has to be discussed, for instance, in an intelligent forum is the Age of the Universe, and the Earth, and of hominids and humans — how such determinations can be made, what kind of evidence there is, what various scholars have concluded. These things are open to scientific gaze, and until the creationist can sit down with the mainline scientist and discuss evidence, the creationist will struggle. So pick up Edward Larson’s Evolution, know that the man is a Christian, and watch him sort out the major discussions … and those who do so will struggle less. Hold that, they may well struggle more with what they have been taught, with what they assume the Bible says, but they will emerge with a more robust faith and a more robust perception of our world, and be closer to the truth. Take, for instance, the fossil record (Rosenhouse’s 11th chp). At the Creationism’s Mega-Conference in Lynchburg, Rosenhouse listened to Emil Silvestru contend that “such geological evidence as we have entirely supports the young-Earth-hypothesis” (56). Silvestru’s contention was that there are “no transitional forms” in the fossil record. But Rosenhouse trots out just a speck of the evidence for transitionals bridging fish to amphibians, amphibians to reptiles, reptiles to mammals, and ape-like creatures and hominids to humans. Silvestru struggles because he fails to explain existing evidence for transitional (stem mammals) and offers counters that can be explained better in other ways: most fossil-bearing rocks are sedimentary” because it is in water that fossils survive. On land animals don’t survive as fossils … difficulties dating and splicing together transitional forms do not call evolution into question, but too many creationists jump from a specialized problem to castigate the larger theory. Then he listened to Phillip Bell who made the logical, necessary, slippery slope connection between evolutionary theory’s lack of meaning and purpose and nihilism, fatalism, suicide, etc.. Creationists operate far too often with a “colossal disrespect” for scientists. This is a struggle, too. Rosenhouse has a dense chp “On Information,” an expertise of his, which led him into a dispute with Werner Gitt about degrading information in mutations. Some creationists struggle in assuming they know a subject or when they transfer one kind of “information” into another theory of information. Then a chp on “Movies and Television.” Carl Kerby teaches young adults to listen to and watch movies with a critical eye, and so also does Jack Cashill. Cashill discussed (at an Intelligent Design conference in Kansas City in 2002) the movie Rope and then High Plains Drifter and High Noon in light of the moral code called the Hays Code. Cashill connected communism to Darwin by way of atheism and Marx. Rosenhouse: the “sheer viciousness of so much anti-evolution rhetoric” (70). I simply note that I’ve run into this and it’s a buzz saw. It really makes me pause and step back, because you don’t want to lose friends, or alienate your relatives. I mean it’s a big subject on the front burner. You have to join in with a big “Amen”. Or you stick out like a sore thumb. Or you are as unwise as I was in presenting what you really are inclined to believe. And it isn’t pretty. So it’s really tough out here, and we need all the help we can get. I like what you’re saying here. I’ve found myself pondering the creationism thing a lot lately and wondering if a true consensus can ever be reached. It seems to me that, even when the data we have is taken into consideration, the whole debate boils down to an issue of worldview. Natural science, by its very definition, cannot allow for the speculation that there has been any supernatural intervention in the process at any step of the way. It’s not that natural science is inherently opposed to God in this sense, but simply that there is no way to empirically test and observe the supernatural, so natural science is not equipped in the slightest way to entertain the possibility. I don’t think there’s a valid way to change that, and I don’t think it necessarily even *needs* to be changed. But this shapes how it views and interprets the data it finds. Creationism assumes that there must have been divine intervention along the way. Sometimes it also assumes the earth must only be 6,000 years old, and sometimes it doesn’t. But either way, this shapes how it views and interprets the data that it finds. Both natural evolutionary science and creationism have to do quite a bit of filling in gaps and explaining unexpected or seemingly contradictory bits of evidence. You could make a case for the greater evidential strength of one over the other, but I think it’s a bit unrealistic to assume that either one is really and purely objective without filtering through a worldview presupposition. I doubt a truly unbiased approach is possible, and if it were, I even more so doubt that an unbiased consideration of evidence could ever yield a truly authoritative answer. It seems to me that all anyone can do is make educated guesses based on evidence seen through the lens of their own worldview. This is an excellent point, and gets to the heart of why many Christians who are also scientists prefer the term evolutionary creation to describe their position. “Creation” assumes a worldview, in the case we discuss here a specifically Christian worldview. So all Christians in the sciences believed God created the world and everything in it intentionally and for his designed purposes. In this sense we are “creationists” and support “intelligent design.” But we also believe that science reveals true details about the world, that Genesis is not a scientific account of origins, and that the supposed conflict between science and the Christian faith is an unfortunate circumstance. So – the world is 4.6 billion years old, life originated shortly there after, humans some 200,000 years ago, and God did it all. Evolution as a mechanism should be no more threatening than capillary action as a method for water to get to tree leaves, or embryonic development as a mechanism for God’s formation of us in the womb. I am sorry for the trouble you had. I agree that much wisdom must be exercised in presenting and discussing the views. We also have to have well thought out answers for key questions, something that is just starting to appear. Conclusions are the proof of ignorance. If one really knows, he doesn’t need “conclusions”. One “conclusion” (from the creationists, of course) could be that “the wide array” have all been drinking the same cool-aid. And it’s very possible too. We don’t need “conclusions”, we need revelation. A fundamental(ist) difference to what we can know. Now, it’s perfectly fine to take “the wide array” as your source of revelation for a time, but if the source appears fallible, you will have to reject it at some point. The beauty of Christianity is that it claims to have a revelation that has not changed, and is not changing. If it did, it would be no more. We don’t need “conclusions”, we need revelation. That is an interesting conclusion…. The idol of an airtight systematic theology, which is a mirage. @Holdon: “Conclusions are the proof of ignorance.” And is that your conclusion? The revelation we have is Christ Jesus himself. That’s where both the Gospel of John and the epistle to the Hebrews start: The revelations of God through the prophets were incomplete, partial and transitory. Jesus is the Word, the Son, the full and complete revelation of God. With this in mind, conservative Pentecostal that I am, I see the creation-evolution debate as really a distraction. The resurrection of Christ Jesus is an event that really happened. It’s not just that “the Book says so”; it’s also the position that best accounts for the martyrdoms of the apostles who saw Jesus led away and knew that he was being condemned to death. Whether any of us are becoming better creationists, I wonder if we are becoming better disciples of Jesus? And how do you know what really happened? One issue my be tha science takes time, and it’s always changing. Always getting better in existing fields, and constantly creating new fields and methods. The new is always less accurate at the start, and something new is always starting. It takes a long time for methods in any specific sub-field to improve until the researchers reach concensus, then even longer to convince the community, who only eventually begin to teach in universities, who then in turn teach in schools, who then grow up. The DNA sequencing is amazing and, I think, convincing. All the university professors are almost convinced. We still need this generation to start teaching in schools, then become in charge (15-20 years), then that generation will grow up with TODAY’S truth. Give it 40 years. @ Holdon And how do you know what really happened? By studying the evidence left behind by things that happen. That’s how we all know about things that happen, we see the effects of these happenings in the physical world. Creationists operate far too often with a “colossal disrespect” for scientists. This may be true but how often can the same be said of the scientist? Why do we have such distrust for scientist? Maybe because they tell us a man cannot walk on water or rise from the dead or make wine from water that has the appearance of age when it is young. I grew up in a very conservative, fundamentalist Pentecostal church, and the creation-evolution debate was often at the forefront of my interest. I would come home from school hearing of vestigial structures, the evolutionary process, carbon-14 dating, or even different theories of the emerging of human civilizations and I would have to find some form of explanation for myself. I would go to YEC websites and email their operators for answers, because my faith was hanging on whether or not these things were true, or what I was taught in church was true. These were definitely a distraction from what mattered; the revelation of Jesus. Thanks for your thoughts on this topic, Scott. Sometimes I forget that, for many Americans, Young Earth Creationism is still compelling. While those on the extreme may not change their views, your thoughts may help the average American to see that Scripture and their love for God can be compatible with science. Natural science, by its very definition, cannot allow for the speculation that there has been any supernatural intervention in the process at any step of the way. Once upon a time, scientists were looking at trails in cloud chambers. When you smack atoms togehter, the break, scattering particles everywhere. Some of those particles break down themselves. But they noticed something strange – here were some particles breaking down, sending smaller particles flying away. The problem was, the way they were moving didn’t match up with how much energy the original particle had, or its momentum. The scientists acknowledged that something strange was going on. They looked into it carefully, and concluded that the energy and momentum would balance out if there was an extra particle with such-and-so amount of energy, moving in such-and-so direction. Now, they couldn’t actually see such a particle, but they could tell something was going on by its effects on what they could see. They worked out what properties such a particle would have, and decided that sometimes – very rarely – it might be detected under certain conditions. They built detectors, and, lo and behold, they found – the neutrino! Scot asks “Why do you think so many in the conservative Christian community are suspicious of the scientific community?” I think it is important to note that many conservative Christians are suspicious of some in the scientific community, but are very selectively so. How many conservative Christians do you know who are suspicious of chemistry, such that they do not drive cars because they don’t trust gasoline or don’t use natural gas, or fuel oil to heat their homes because they are suspicious of these secular mixtures? I know there are people who doubt medical doctors for some reason across all groups, but how many conservative Christians systemically doubt medical science altogther? How many conservative Christians doubt the physics behind our military technology, whether a balistic arc of a gun or the micro-electronics of armed drones? Regarding biology, how many Conservative Christians do you know who systemically refuse to wash their hands or kitchens BECAUSE they doubt the germ theory of disease? I believe that some conservative Christians doubt the science that they do because they believe that it conflicts with their wooden reading of scripture, but that others doubt some science (especially climate science) because it conflicts with their self-interest in very deep ways that where changing their beliefs would result in fundamentally changing their lifestyles. I also suspect that conservative Christians doubt scientists on the issue of evolution because so many scientists claim to be atheists or skeptical towards religion in general or Christianity in particular. Some go as far as to say I doubt science in general but others probably more doubt the atheism and naturalism of scientists to hold what they teach with the same skepticism they think they receive from them. The sad reality is then to have disdain or disbelief for even Christian scientists who come to similar conclusions about the science and origins of human life. At the end, I think people need to get past the labels and prejudices of “others” who see the world differently than they do. If Christians really believe “all truth is God’s truth” then if an atheist says “rain is wet” and a Christian says, “rain is dry praise the Lord.” The atheist and not the Christian is more right on that particular reality despite worldview claims and flowery Christian language. In my opinion, it’s because they don’t understand the basic notion that Science answers the How questions and Theology answers the Why questions. They are different questions that need to be answered in different ways. That doesn’t mean they don’t overlap (I’m not with Gould here), but that they are not, necessarily, in conflict. Because they are looking to the Bible for the empirical HOW and to Science for the philosophical WHY, they are having trouble with the answers they are finding. Why is there suspicion? The Christians described need a “theology of certainty” along with a certainty of scriptural literality and inerrancy. We are all afraid, to one degree or another, and glom onto things to stave off our fear and keep ourselves out of whatever abyss it is we are afraid of. My guess is that the “theology of certainty” and a literalist, inerrantist reading of scripture does that for those Christians. Scientists are objectified as locus of the threat. I still think some hostility is historic and not just “theological certainty” driven. The atheist movement coalesced around Darwin’s views and pushed natural selection as a replacement god/genie for the Christian/Jewish creator GOD. It was and is natural for Christians to look at atheists ridiculing Christ and His people as subjective with an agenda. So, most did and the distrust isn’t gone by a long shot. That’s got a whole lot to do with the hostility between some Christians and anthropology. BTW, I don’t think most literalist Christians have anything against science or a scientist, it’s anthropology that bugs them from what I observe. Thanks, RJS. Yes, I think I need to get back to some serious reading on the issue. Andy #13, “scientists” aren’t telling you those things. Only some people who happen to be scientist and who are not acting as scientists as scientists when they such things. Most scientists whether atheist, theist, or agnostic have better things to do than go on about metaphysical questions. Why do you think so many in the conservative Christian community are suspicious of the scientific community? 1) Because it makes them feel good. They can dismiss facts that challenge their believes with out having to consider them. 2) They were brought up to think that way and never question those in authority. 3) They aren’t totally anti-science but don’t want to loose family and friends over the issue so they go along. The power of our social relationships and how that effects us. Good insights . . . Most people would not like them just for that. I said in jest that if they were good looking too then it would be too much, but it is true. This is human nature…. Are creationists also suspicious of lawyers? The have everything that scientists have, but add charming personality and a sense of fashion. The reason I reject evolutionary theory is because of empirical science. A good site focusing only on the clash between science and evo is Science Against Evolution. We were all forced to learn evo in school, college, documentaries, even entertainment, so nobody can say I’m ignorant about it either. The fact that even to express doubt in Darwin elicits condescension and mockery (and sometimes loss of funding or employment, or denial of entrance into a science course) exposes the fact that evo is no less religious or biased than any theology. The fact that evo will go to the courts to prevent the presentation of facts that throw doubt upon it (happened in Ohio several years ago, among others) proves its fear of people turning from the ‘faith’. Evo is also guilty of many logical fallacies and “just so” faith-based stories. The appeal to ever-progressing discovery as an excuse to defend evo is a good example of some of these issues. Any theory that cannot be falsified (meaning there is no way to disprove it) is unscientific by definition. Many evo scientists have openly stated that they will always believe in evo no matter what; that is faith, not science. The old “rabbit in the cambrian” retort is circular, since it presumes evolutionary progression to begin with, as the agnostic microbiologist Michael Denton explained in his book “Evolution: A Theory In Crisis”. And since many “living fossils” have been found, even blood cells in dino bones, we have seen that such things have not been accepted as disproving evo theory, so I’m confident that even the most extraordinary discovery will never be accepted either. This is the very definition of unfalsifiable. So there’s really no point in trying to frame the debate as between science and religion until evo first establishes itself on the side of science. Until evo returns to empirical scientific practice and employs sound logic, I will remain convinced that it’s just another religion (not all religions have a deity and priests, though Science and Darwin might qualify for each). Anyone who wants to ‘convert’ me to an evo will have to leave ALL religion out of it; I will not begin to discuss Genesis until evo has been subjected to the same scientific inquisition as the Bible has. To claim “we are forced to learn it in school, college … ” so no one can claim you are ignorant about it is rather misleading. We are forced to learn math in school as well, but very few are qualified to analyze arguments involving group theory or Hilbert spaces based on that education. We are forced to study physics … but can’t really evaluate the pros and cons of the standard model in physics. We learn about the bible from childhood in church, but can still learn a great deal from those like Scot or John Walton who have studied the languages and cultures in much more detail and most of us are not qualified at all to evaluate the accuracy of a specific translation of a troublesome passage. I sit at their feet (figuratively) to learn something of the Greek or Hebrew context – and I question to learn but don’t presume to correct based on my 4+decades of church education. Evolution is firmly scientific. The mechanism is more complex than simple natural selection and point mutation – but that doesn’t change anything. Denton, for example, argues against randomness and for design but does not argue against evolution – at least not in his later work (the book you cite was published in 1985, his more recent work is 1998 and in the 2000’s). The rabbit in the Cambrian is short hand for saying that the progression from only simple to increasing complexity in the mix would be undermined. A rabbit in the Cambrian would not require anyone to turn to God as explanation, but would undermine the evolutionary progression from simple to complex on this planet. Living “fossils” don’t invalidate evolution by any stretch … complexity before its time would (at least on this planet). Many do make metaphysical statements tied to evolution – but this doesn’t invalidate the science. One of the more important things to learn is how to separate metaphysical statements from scientific statements. What science courses have you taken and where? Not misleading at all. Are you saying that everyone with less than master’s level education is ignorant of evo theory? Did I claim to be an expert? You’re burning a straw man already, and we haven’t even begun to discuss the issue. And you spent half your comment on that straw man. You say that evo is “firmly scientific” as an assertion, with no attempt to explain for example how unrepeatable past events can be considered in the realm of empirical science. That is the realm of forensics, of legal evidence, and of speculation. You can observe only what exists right now, and you can analyze its components, but you cannot observe the past. The scientific method must observe and repeat by experimentation. As for the “rabbit” issue, the fallacy there is that of “false dilemma”; that is, that no other process could explain the “sorting” of creatures in the rock strata. But floods have a natural sorting action of their own, not the least of which is that large mobile land animals tend to run for higher ground while small marine organisms will not. A related fallacy is thinking that if a theory is invented and then another theory is invented, that somehow the second theory disproves the first. So to say that extremely long gradualism can account for evolution does not mean that other theories are thereby proven false; it simply means that there are two theories, neither of which can be falsified scientifically. If making metaphysical statements tied to evo does not invalidate the theory, then it is unfalsifiable. As for your personal inquiry, it’s the argument/evidence that matters; to either brag about my credentials or have none at all would only add more layers of fallacy to the debate. We all quote others for scientific claims, people who have proven expertise in various disciplines. But we cannot escape bad logic or sloppy definitions of terms such as “scientific”. And such experts disagree about a great many things, such that “appeal to authority” will be fallacious unless all qualified experts agree on a given claim. I would instead direct you to that Science Against Evolution site to examine all the detailed analysis there. One thing I can vouch for is the failure of science education in this country to admit to bad logic and contrary evidence, so there is most likely a great deal of new material there for you to read. Whether people want to believe in creation-science, progressive creation, evolutionary creation, and the list goes on and on, I really don’t care. But I do care in how this may have adverse effects on furture generations of Christians. And I see some bad or condescending attitudes raise their ugly heads by a few people on the evolutionary side. But overall, it seems that people who study science, especially the specialists who are scientists and happen to be Christians, try to deal with these issues fairly and comprehensively while those who are anti-evolution (and sometimes even anti-science) seem to present the issues as a kind of “all or nothing approach” or lump the worst of atheist apologetics as evolution as a religion to Christians who believe in evolution must be held in suspect as well. I remember watching and really enjoying the movie “Expelled: No Intelligence Allowed.” There were humorous comments and clips throughout and I wished the new ‘Planet of the Apes’ movie would have been done earlier to have been in this documentary (showing movie clips) with intellectual discussion about the political correctness of evolution. What the movie showed were these respectful Christians arguing for intelligent design or some form of creation theology contra those in the academy and journalists who lost their jobs for not holding the political correct line in supporting or even simply raising questions about biological evolution. 1. The most intelligent person speaking against evolution was not a Christian but an agnostic (David Berlinski). Ben Stein who made the movie is also a Jew, not a Christian. So even though this was a movie about intelligent design with many Christian scientists who disbelieve in evolution, the Christians certainly did not have a corner on truth much less always sounding the most intelligent. 2. What was curiously missing from the documentary were all the Christian scientists who believe in evolution who are very intelligent and do not persecute others like the new atheists do who hold a contrary position to evolution. I will end and say people can dogmatically be against evolution no matter what evidence supports it too. What is happening in science from my perspective is the same thing that has happened on the abortion issue. There was little science forty years ago to suggest when did life begin or whether a developing fetus was human or not? The technology and science has come light years and it will become very difficult for those who think abortion on demand, even in the last trimester is not ending the life of a human person. Science has exploded in the last fifteen years in regards to common ancestry, filling in the gaps of the fossil record, DNA geno research that are all pointing and confirming the science of biological evolution. Its explanatory power is so great now that they are even able to predict things accurately ahead of time whereas before it was often a guess or wrong. So I understand people still depending on old arguments and old proofs but if people really look at the latest science that is going on in this field, I believe it will become harder and harder for people in the future to simply reject it or cite blogs that try to promote doubt in this area of science. I suspect further that if the church (and the Catholic Church has already done this), and the Evangelical church in particular, does not start coming to better terms with issues like this, we may end up inadvertantly set up stumbling blocks for our children and their children’s faith whereas they may either have to sacrifice their intellectual integrity or worse, sacrifice their Christian faith. You have to understand the logic in order to dismiss it as bad. You must understand Greek to dismiss a translation as bad, you must understand evolutionary biology to dismiss the logic as bad. This isn’t simply an appeal to authority – authority should be tested, but carefully and intelligently. Your “rabbit” fallacy is that Flood geology could be true and thus a rabbit in the cambrian wouldn’t invalidate evolution? Or are you saying something different? The fact that we do not find rabbits in the Cambrian doesn’t prove evolution, it is merely consistent with evolution. As you say this could be consistent with other theories as well (your flood example). Other things make the flood explanation rather far-fetched. But a rabbit in the cambrian would certainly disprove the current scientific views. My initial comment was to state that I see this debate as misframed, because I am not convinced that evo is scientific. My challenge was for anyone who wants to convert me to an evo to convince me that it does not violate the scientific method or sound logic. That being the case, I’m not sure why you’re bringing up these other issues. I have seen Expelled, and never thought it was supposed to be a Christian apologetic, so again I’m not sure why there was a need to say so. The film did do a good job of exposing some of the reasons that “real scientists” all accept evo theory; it has as much to do with peer pressure than anything about science. Nobody said anything about Christians and having corners on truth, not the film and not me. Re. your point 2, why should there have been Christians defending evo? The purpose of the film was to expose the dirty tricks the evo believers go to, not to discuss Christianity. In the next paragraph you hint that people who reject evo often do so in spite of what its followers consider irrefutable evidence. But both sides can be guilty of that, as I mentioned regarding the unfalsifiability of evo. I have always loved science, which is why I am so adamant that the scientific method be defined and followed, and that it isn’t ruined by poor logic or hiding unflattering facts. 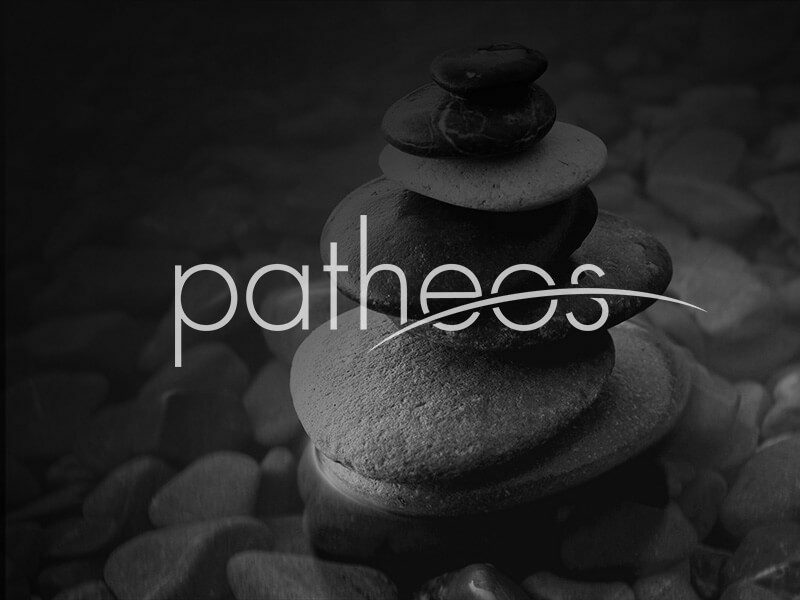 If you spent some time at my blog you’d also find that I am way outside the box on a lot of things, and it’s for the same reason: pursuit of truth no matter where it leads. But I shouldn’t have to be defending my motives here since the point of discussion I raised was for evos to defend their theory rather than me defending… pretty much anything and everything. I simply say this to assure you that I’m not afraid of anything— which is not the case for many evos. Who is it that needs to “come to better terms with issues like this”? It is evo, it is the scientific community, as the film Expelled pointed out. I still await any serious attempt to address my initial challenge. Ah, now the truth comes out: if you didn’t take science courses or did not keep up with the “latest”, you have no credibility. I guess we have to leave it up to the “scientists” and the “theologians”. If a rabbit were found in the Cambrian, it would no longer be Cambrian. Simple as that. Who says I don’t understand the logic? Logic is logic; it has rules and definitions and forms. It applies to all thinking, not just science. So if any topic uses poor logic it will come to fallacious conclusions, scientists included. So no, a knowledge of evo theory is not required to spot bad logic. Again, all I did was state why I am not a believer in evo theory. If no one wants to try to convert me by (1)showing that they understand the definition of the scientific method and its limiations and (2) showing how evo theory is consistent with that and does not engage in poor reasoning, that’s fine. But I won’t be addressing any more distractions. Pick some fact you believe proves some specific, defined plank in evo theory, and then we can discuss it. But all I ask is that you first go to that site I keep referencing since it will save us all a lot of time here. The scientific method must observe and repeat by experimentation. Er… no. The scientific method involves gathering data, hypothesizing about that data, making predictions based on those hypotheses, and then testing the hypotheses. If you’re asserting that forensics is not scientific you’re going to have to flesh out that case in depth. For example, if a chair is alleged to be three hundred years old, we can make hypotheses about that. It will not include lacquer and glue that was unavailable three hundred years ago. If it was alleged to have been made in a particular place from wood gathered from a particular forest, we can look at the ring pattern in the wood (influenced by climate and weather) and see if it matches up with other samples from the same area. We can check the metal composition of the nails or screws. Etc., etc. Paula, here’s a question that I ask of all creationists: What’s the best evidence you’re aware of for common descent? And why are you asking me about evidence for common descent? You’re supposed to be presenting what YOU believe and then trying to convince me that it’s scientific. I have gone to that site, and I have a number of “anti-evolution” books in my library. This is because I have to know what others are arguing in order to have any hope of productive discussion. It won’t save us any time here. I tried to focus my last comment on one issue. Holdon suggests a rabbit in the Cambrian would demonstrate it wasn’t really Cambrian and certainly that would be one of the first assumptions investigated. But if everything else pointed to the rock formation being Cambrian something else in the current view would be called into question. Well, when talking about a scientific topic, shouldn’t you, well… study the science? I mean, one reason we don’t take Jenny McCarthy seriously about vaccines is that she isn’t a doctor and hasn’t studied immunology or neurology, right? Thank you for the thought and visual of large dinasaurs running to higher ground to escape the flood and that being a reason their bones are in later layers. That is wonderful. You made my day. The site you’ve “gone to” (read?) has a lot of articles debunking evo claims and doing so with science. I am convinced that the site has achieved its purpose. It is for you to convince me otherwise, so if you can cite a particular evo claim that you feel he did not debunk, you might want to present it here rather than simply brush the whole site off. The rock strata were named and defined by what creatures were found in them. So to argue that the absence of various other creatures proves evo theory is a tautology. You can’t prove a theory by itself; you can’t classify something and then claim that the absence of excluded things proves the theory. For example, if I define the Pre-Posterous layer as that which contains blue and red marbles, then boast that since no yellow marbles are found there, my theory of marble evolution is proved true, I am arguing in circles and proving my theory by the criteria I invented at the start. Likewise, to say the layer can’t be Cambrian if a rabbit is found there is an absurdity since you began by defining what can be found there. And as I said, exceptions to evo theory are found all the time, but nobody admits that these exceptions disprove the theory; it is unfalsifiable. Um, yeah… Basically, that’s it. I look at like this. If Francis Collins, a brilliant geneticist who’s dedicated his life to studying genomics can affirm evolution, than I figure that the case for that belief has to be pretty strong. Listening to someone who doesn’t even have a real degree try to discredit him is a bit like watching Michael Jordan take a junior high school student in a game of one-on-one. There may be a few outliers, but basically for scientists doing the actual work and research, evolution isn’t something that’s a matter of being questionable or making one’s mind up. It’s pretty much seen as a given. That’s what the observable facts lead to. Phil Miller: like climate change scientists? We can trust them because they wear white lab coats? They never lie, or cheat, or hide data, or conspire together and use their reputations to promote their ideology? There have never been any hoaxes involving fake ancient skulls? And majority agreement is the same as science fact? Nobody ever gets blacklisted for merely questioning them? The chemistry of lacquer and glue and nails, and the pattern of rings in wood, aren’t empirical or measurable? If you’re only aware of the evidence on one side of an issue, you’re not likely to be the best judge of where the preponderance of evidence lies. You’re certainly not likely to understand why someone might believe something you don’t. I’ll be happy to explain some excellent evidence for common descent, but I’m simply asking a calibrating question – what’s the best evidence you’re aware of for common descent? Do you think there’s any, or is it just that people who believe in evolution just really really want common descent to be true? I’m sure there are some unscrupulous scientists just like there are some unscrupulous doctors, lawyers, engineers, teachers, pastors, etc. To say that the whole scientific community is involved in a massive worldwide conspiracy is simply laughable. Most scientists are (relatively) normal people living their lives like the rest of us. Most of them will not get famous or rich doing their work. In fact, many of them could probably make more money doing other things. Most of them do it because it is what they’re passionate about. The comments around taking courses is interesting. holdon seems to think that taking the courses will help with the credibility of the arguments. But hold on holdon (I could not resist), no one here is worried about credibility, it was simply an easy way to ascertain the knowledge base Paula is working from. If she said that she had a BS in biology from a reputable school she would be no more credible that saying she has only had high school biology. But RJS and others would understand what evidence she has been exposed to and would be able to tailor the arguments and discussion to best effect. I’ve been using the word “empirical”; what part of that does NOT mean hard sciences like chemistry or wood rings? Are you actually claiming that I don’t believe in real science? Clearly we are not communicating. And one last time: The challenge I made was for evo’s to defend their belief as scientific. I don’t care whether you’re aware of the arguments made by others for their beliefs, or whether you think I am. The question for you is this: Can you defend your faith in evo as a science, or can you not? Evading it by trying to put me on the witness stand instead is not going to work. Why do you personally believe in common descent? Be specific. “It’s pretty much seen as a given. That’s what the observable facts lead to.” We see this all the time: mostly the “observable facts lead to” what is “seen as a given” not the other way around. If a fossilized rabbit is found, for sure it can’t be Cambrian. That’s the state of this kind of “science”. It cannot be falsified. The creatures found in them are only one factor defining rock strata, and it isn’t one that conclusively dates them, at least not by today’s methods. Dating is done by a variety of other means and these dates are used to determine the age of the fossils. The ordering of sedimentary layers, cross-cutting of layers (a layer that cross-cuts another is younger), and radiometric dating are primary means of dating the relative and absolute ages of various strata. So finding a rabbit in a layer radiometrically dated to the Cambrian (ca. 500 million years ago) and cross-cut by a strata dated radiometrically to 360 million years ago would cause serious problems for evolutionary theory (and/or for more basic physical principles). To say that the whole scientific community is involved in a massive worldwide conspiracy is simply laughable. Most scientists are (relatively) normal people living their lives like the rest of us. Most of them will not get famous or rich doing their work. In fact, many of them could probably make more money doing other things. Most of them do it because it is what they’re passionate about. Who is saying this? You’re laughing at a straw man. My point is that appealing to scientists is not the same as appealing to science. You have to get the opinions of a variety of them, including those hostile to a given theory, or all you have is a collection of yes-men. And “most scientists” rely on other scientists in their areas of expertise, such that if a chemist hears an archaeologist say something, they don’t question it; they are compartmentalized by being specialists. You would have to narrow your claim to a specific discipline, and then deal with egos, careers, and funding. It’s never as clinical and sterile as evos like to claim. All right, Paula. I believe that all the life we know about on Earth (which means all the life we know about so far) is related by common descent with all other life on the planet. I’m not a biologist or paleontologist, but I’ve read a fair amount about the topics and I’ve seen good evidence for common descent there. One of the best is also one that’s fairly easy to check if you start looking into things. It’s the “twin nested hierarchies”. Books used to be copied by scribes, and (despite a lot of care) sometimes typos would be introduced. Later scribes, making copies of copies, would introduce other typos. It’s possible to look at the existing copies and put them into a ‘family tree’. “These copies have this typo, but not that one; this other group has yet another typo, though three of them have a newer typo as well, not seen elsewhere…” This is not controversial at all when dealing with books, including the Bible. Today, more than a century later, we find another tree, one Darwin never suspected – that of DNA. This really is a ‘text’ being copied with rare typos. And, as expected, it also forms a family tree, a nested hierarchy. And, with very very few surprises, to a really astonishing degree, it’s the same tree that was derived from looking at physical traits. The details of these trees are very specific and very, very numerous. There are billions of quadrillions of possible trees… and yet the two that we see (DNA and morphology) happen to very precisely match. This is either a staggering coincidence, or a Creator deliberately arranged it in a misleading manner, or… universal common ancestry is actually true. The list of 75 theses on the site you reference has many problems, not the least of which starts in number 7. Science does not say what truth is, it uses the scientific method to reject hypotheses that are incorrect, there is a difference. Likewise the list assumes that if something happened via natural processes it should be able to be repeated. There are many natural processes that have not been repeated by science, this is just a silly thesis. We have not combined the 4 fundamental forces, we have not shown why and object has inertia, we have not created life. So what. Then the list says “There is no known way in which the first living cell could have formed naturally.” That is absolutely baseless. Just because something has not been found or determined does not mean it can’t happen. Paula, that site is not credible and it is illogical. Dating is done by a variety of other means and these dates determine the age of the fossils. Any method of dating has to first be calibrated. Both a body temperature thermometer and an oven thermometer may use degrees Fahrenheit, but they are not calibrated to the same scale. You have to have some idea of the range of temperatures before choosing a method of measuring them. So when you don’t know what that range is (unless you decide a priori what it must be to suit a theory), you have to use a very wide variety of measurement scales. But that is not what is done in dating rocks; they decide before they start what the acceptable range must be, and even have ranges of error in the millions of years. Any date that falls outside of the theoretical limits is simply discarded. That ain’t science. And again, the ordering of layers presumes gradualism; how predictable is it, then, to find out that the layers have what you think they must? It’s what in statistics they call “drawing the target after the shots are fired”. Flooding is equally valid as an explanation of the layers, which are largely sedimentary, meaning laid down by water. You would have to narrow your claim to a specific discipline, and then deal with egos, careers, and funding. It’s never as clinical and sterile as evos like to claim. Narrow what claim? That most scientists aren’t frauds? I would say it’s true in whatever discipline you look at. Do you actually know any practicing or published scientists? I know quite a few. Like I said, the vast majority of them have no interest in trying to mislead the public, and they aren’t rigid ideologues either. And actually, many of them are Christians. 1– I understand and agree that there are tried and true techniques for grouping ancient documents into families. But aside from analyzing materials, mostly they depend upon the forensic, not scientific, method, gleaned from the study of history. This is not a good analogy to an alleged biological progression that happened before any of us were around to observe it. Writing is done by people, and is at the heart of the definition of “historical”; hence the word “prehistoric” refers to that which is alleged to have happened before people were around. At best, there is a rough correlation to the method of tracing similarities. But as with genetics, it’s the difference that are the key; after all, we share something like 50% of our genes with bananas. 2– The very act of grouping living creatures is possible due to their differences, not merely their similarities. Both people and bananas have similar DNA at points, but this hardly means both came from a common source. This is one of those logical errors I’ve been talking about. Our alphabet has a certain order, yet it means nothing; A is not the cause of B, nor is B derived from A. They are both letters, they are both used for language, they are both formed by strokes of a writing instrument, they are right next to each other in order, but none of that matters; A and B are simply arbitrary representations of sounds that have no causal relationship between them. 3– DNA is a carrier of information. Information theory holds that there must be an encoder and a decoder, a sender and a receiver who both understand the code. In order for DNA to do what it does, an incredible number of things have to all “be on the same page” so to speak. It is a system, and an irreducibly complex one. This, to me, indicates (really, demands) intelligent design; a program implies a programmer. I’ve written many lines of code in many languages. But even in the same language, the code is designed to do a wide variety of things. The program I wrote to present a website is nothing like the one I wrote to calculate interest on a loan; one did not give rise to the other. Yet the lines of code in each will share many similarities. To conclude that one caused or gave rise to the other is a basic error in thinking, just as it is to conclude that one life form gave rise to another. 4– You mentioned trees; how is it that the “branches” (pardon the pun) ever stayed branches then, if no one is directing “progress” (a term which is wholely at odds with evo theory, which holds that there is no intelligence to tell it what that even means)? Living things are programmed to adapt, but they have limits; otherwise we’d have no way of classifying things, and a tree may evolve into a toad for all we know. The famous fruit fly experiment was ended because, regardless of the number of trials and the variety of mutations, in the end they wound up with… wait for it… fruit flies. Not dragon flies, not house flies, not trees, not toads. Fruit flies. “Kinds” simply do not evolve into other kinds. Bacteria are still bacteria, viruses are still viruses, and apes are still apes. Paula, regarding dating – you might want to read up on what isochron dating is. Any method of dating must be calibrated – but radiometric dating is calibrated independently of the fossil record. Many lifetimes have been determined experimentally, but they can also be predicted within limits from particle physics. Some elements we currently consider “stable” are probably radioactive with very long half lives. Dates for rocks outside of an expected range are retested of course – but not discarded. The process doesn’t work like that. Sometimes the error range is millions of years because that is the known error of a particular measurement. Any good report should include the error estimate. A basalt layer dated to some age, say 200 million years ago, cross cutting a sedimentary limestone layer will place a limit on the age of the limestone layer. Any fossil in the limestone must then be older than the basalt. A modern horse (or rabbit) in the limestone would disprove our understanding of evolutionary biology. If you simply dismiss everything and go to a flood geology approach, the idea of “disproving evolution” is already out the door. RJS, radiometric dating begins with unfounded presumptions about the amounts of “parent” elements and the isolation of the system over time. “Probably” isn’t proof, and “presume” is not evidence. As for finding modern things in ancient rocks, that has happened, including multi-layer fossils such as trees extending vertically through many strata. I’ve seen some attempts to explain those away but I’ve found them more a case of the fallacy of “special pleading” than scientific. But since you resort to presuming my motives and essentially admit that you cannot defend your position with science and logic alone, I’ll not bother you anymore, as I think I’ve made my point: the debate should be between evo and science before it can claim to represent science against the Bible. Thanks for trying. This is perhaps moot if Paula is exiting the conversation, but anybody saying the things she is saying about radiometric dating needs to read the well-written “Radiometric Dating: A Christian Perspective” by Dr. Roger Wiens who is actually an expert in the field and who explains things at a reasonably understandable level. And frankly, if a person does not have enough science literacy to at least follow what Wiens is saying (I’m not accusing any particular person of that), that person has no business attacking the science of radiometric dating. But aside from analyzing materials, mostly they depend upon the forensic, not scientific, method, gleaned from the study of history. I’ll note that I asked you: “If you’re asserting that forensics is not scientific you’re going to have to flesh out that case in depth.” Please compare and contrast the ‘forensic’ and ‘scientific’ methods. Both people and bananas have similar DNA at points, but this hardly means both came from a common source. Ah, but it’s the nature of the similarities and differences that imply common source. Especially when we have more than two data points. Two jigsaw puzzle pieces don’t make an overall image, but several thousand can. nformation theory holds that there must be an encoder and a decoder, a sender and a receiver who both understand the code. Well, actually… no, it doesn’t. “Information” has a very specific definition in “information theory”, and that’s not it. In order for DNA to do what it does, an incredible number of things have to all “be on the same page” so to speak. It is a system, and an irreducibly complex one. This, to me, indicates (really, demands) intelligent design; a program implies a programmer. One thing that really convinced me that evolution could work was reading up on “Tierra”. I was so impressed that I wrote up a version of my own. (I didn’t copy any of the original code; I didn’t even look at it. Mine was a ‘clean-room implementation’ from reading the accounts.) And dang if I didn’t get the results reported, and a few new ones. Those little evolving critters found tricks that I didn’t code in, even subconsciously. I know because it took me real effort to figure out what they were doing and how they worked. It was, quite literally, programming without a programmer. As to how it got started – abiogenesis is a separate, logically distinct question from evolution after life got started. I suggest we leave that alone for the present. if no one is directing “progress” (a term which is wholely at odds with evo theory, which holds that there is no intelligence to tell it what that even means)? Would it suprise you to know that actual evolutionary biologists don’t speak of evolution in terms of ‘progress’? The coelocanth is just as ‘evolved’ as the human today. Living things are programmed to adapt, but they have limits; otherwise we’d have no way of classifying things, and a tree may evolve into a toad for all we know. Species don’t evolve that way. You seem to be thinking of a ‘saltationist’ model. For a much clearer picture of how species really do come about, look up ‘ring species’. For example, the Larus gulls are several subspecies where variants live in a ring around the Arctic. The Herring Gull in the U.K. can interbreed with the American Herring Gull, and the American can interbreed with the Vega Gull in Russia. And so on, until you come to the Lesser Black-Backed Gull in the Netherlands. It basically can’t breed with the Herring Gull. Hybrids are extremely rare and don’t seem to be fertile, like mules. So, is it a separate species? You could breed it with its relative to the East, and so on. But what if, say, the Vega Gull went extinct? Would you have separate species then? Now, imagine such variations happening across time instead of (or as well as) space, and you’ve got an idea how species actually do form in evolutionary theory. “Kinds” simply do not evolve into other kinds. On human timescales, sure. The “twin nested hierarchies”, though, argue strongly that over longer periods of time (and larger populations), they can and do. BTW, how do you explain the “twin nested hierarchies”? Is it just a coincidence? I didn’t see you actually address that. RJS, radiometric dating begins with unfounded presumptions about the amounts of “parent” elements and the isolation of the system over time. I wasn’t exiting the whole thing but only the person I was responding to. However, it might be a good idea anyway, since nobody here is really facing the many problems with evo theory but instead trying to keep guessing my motives or even my right/ability to dare to question it (nice try on a disclaimer though). Here is one article on radiometric dating, and I suppose if I too were to play the motive game, I’d say you’ll just write the guy off as incompetent. All I ask is for those who rely upon majority, popularity, a “closed system” of academics, and making presumptions about any who have the gall to question Darwin, to honestly examine what you’ve been told, and to learn the basics of logic so you can look for fallacies in the thinking even of credentialed scientists. Question everything. PS to Ray Ingles: It is WIKIPEDIA that dissed the quality of the article. It is THEY who demand that people writing science articles actually back them up. Just pretend it was a creationist article and you’ll laugh too at people who would try that. See ya. I was not trying to presume your motives. I was trying to present the science and some of the logic behind it. The question was “Can evolution be disproved?” I am arguing that it can be disproved – but thus far at least all of the data is entirely consistent with the evolutionary hypothesis. Radiometric dating does not begin with unfounded presumptions about the amounts of parent elements. It begins with estimates of these amounts based on the known physics and chemistry of the elements. One reason for the large error bars on some ages obtained from radiometric dating arises from the uncertainty in these amounts. Often dates are calculated using separate methods, different elements, and compared – these help validate the accuracy and pinpoint the error in the calibration. Thanks for the link to the article by Wiens – that is a nice resource. That article by Wiens says o.o about fossil dating. Fossils are embedded in sedimentary rock. No one knows when that happened. Don’t exit! Your presence in this conversation is crucial, in my opinion at least. No the article by Wiens only discusses the issue of radiometric dating. But the issues of layering, and more importantly cross-cutting then set limits on the dates of the sedimentary rock. That is why I phrased #62 the way I did. Even the “direct” method will be calibrated by the indirect one. That seems to be common practice. Several years ago I posted on a book The Bible, Rocks and Time: Geological Evidence for the Age of the Earth by Davis A. Young and Ralph F. Stearley. Davis Young and Ralph Stearley were/are Professors of Geology at Calvin College. They are Christians and write from this perspective. In their book they have put together a nice and readable presentation of the geological evidence for the age of the earth. They explicitly deal with radiometric dating and the challenges put forth by Young Earth Creationists to challenge radiometric dating in chapters 14 and 15. This is a lay-level discussion, but they include references to the original literature. One point is that the only way radiometric dating can be made to agree with a young earth is if the decay constants of radioactive elements are not constant and were so fast during the creation week and Flood Year that the heat deposited would have boiled the oceans and melted the rocks. Radioactive decay gives off a lot of heat. There is evidence that some types of radioactive decay processes can have rate constants that depend weakly on conditions (a few percent change) but other kinds have no observable change despite numerous experiments to test the hypothesis that the constants are constant. Thus there is no evidence at all for the kinds of changes postulated to reconcile YEC with the current evidence. Bottom line: There are many different measurements all of which converge on the same general ages for the earth and for major formations on the earth. These methods are grounded in the physics of radioactive nuclei, the chemistry of the elements in rocks and minerals, laboratory experiments, and field geology. Young and Stearley do a good job of describing the shortcomings of various methods as well. Some have been abandoned because there are new, better methods available. But the ages still leave us with an old earth and the general progression of accepted ages. Young and Stearley say nothing about evolution, they don’t care to address this question at all. I am not asking anyone to accept them as authorities – but I do put this forward as a useful book by Christians with specific expertise in the questions and techniques involved. It is a good starting point for conversation – here or elsewhere. In the “interesting side note” category, Prof. Davis Young is the son of the late conservative Old Testament scholar E.J. Young (a longtime stalwart at Westminster Seminary). Joey Elliott, just curious: what crucial thing was I bringing to the conversation? All they seem intent on doing is putting creation theory on trial rather than evo theory. And I couldn’t get anyone to show exactly how evo theory could be falsified (meaning what it would take to declare the theory invalid). They wouldn’t even pick something from that site I linked to and explained how the guy was wrong. And I just got tired of trying. Paula – I rather thought I was engaging you fairly and directly. You had problems with a source I gave, so I found another source. I made no speculation on your motives and made what I thought were straightforward points. Feel free to contact me by email if you wish to continue. A couple notes about the idea of radioactive decay rates varying: Once upon a time, about two billion years ago, a natural nuclear reactor formed in Oklo, Gabon, Africa. Oddly enough, the reactions proceeded as if the current decay rates had applied back then, too – to withing the ability to measure around 1%. For the Earth to be as young as YEC demands, the variation would have to be – ahem – rather larger. Another interesting point – the Sun is very dense. Energy released in the core of the sun takes around 100,000 years to reach the surface and be emitted as light. If nuclear reactions behaved differently thousands of years ago, the Sun would look different today. Finally, it’s worth noting that “cosmic fine tuning” arguments for God are fundamentally incompatible with the idea that nuclear decay rates have varied by many orders of magnitude in historic time. You can pick at most one or the other – you can’t pick both. The site linked to by Holdon has some good articles too, and they disagree with and also point out the fallacies I’ve mentioned in this conversation. So again, I see experts disagreeing and many errors in thinking/conclusions. One scientist tells me a dating method is sound, another tells me it isn’t. And a critical error frequently made in these debates is that somehow the proposal of an alternative theory invalidates the original theory. That is, if theory A postulates one way a past event might have happened but theory B postulates another, theory B does not invalidate theory A. So one theory is not better or more scientific than another unless one clearly violates observable fact. But since evos freely admit to their theory constantly evolving, they know that today’s scientific fact (that of course only a fool would doubt) is tomorror’s debunked fiction. And of course, a theory that evolves is a theory that cannot be falsified, and an unfalsifiable theory is unscientific by definition. I have yet to see a firm and logical (i.e., not circular) proposal for an experiment whose outcome would cause you to reject evo theory. You also now want to start discussing astronomy, even though I’ve repeatedly asked evos to pick ONE point to debate so we’re not chasing too many fields at once. But that, like my other simple requests, have been ignored by people who keep talking about creationists and how many of them believe in evo. Irrelevant! These are distractions from the quest to put EVO on the witness stand for a change, and ‘prosecute’ it with science and logic. Surely you’ve already seen counterarguments to your astronomy example, and I’ve seen quite a few other astronomy issues which throw a whole lot of things in doubt; have you ever explored the Electric Universe or Plasma theory? There is something called the Cosmology Statement which is a signed list by many scientists (not creationists either) who reject Big Bang as pseudoscience, yet all you and the others here would do is call them “not real scientists” or keep talking about creationists. It isn’t just Expelled that exposes bias and career politics. All I wanted was for you evos to honestly and vigorously QUESTION your own faith (evo, as distinct from science, is a philosophical interpretive framework, and I’ve already pointed out that it is pure faith to presume that no matter what is ever discovered, evo will hold true). The rules of logic apply universally and are especially critical for scientific endeavors. You can collect all the most precise facts in the world, but if you misapply them or reach illogical conclusions, it is like building an elaborate castle on a foundation of jello. I am still not converted because the logical errors and presuppositions have not been addressed, as well as the human factor plaguing the scientific community: ego, career, politics, and of course the refusal to know where science leaves off and faith begins. My whole point is that evo is an interpretation of science, not science itself, and has many serious problems, not the least of which is the ideological lock it has on education and peer review. I said at the start that I make no claims to being an expert, yet I am told that one must be an expert to understand evo. That by itself should raise a giant red flag in your minds, being the equivalent of saying that one must be a theologian in order to understand the Christian faith. If you can’t defend your faith in evo to the layman, you can’t defend it at all. It has also been dismaying and frustrating to watch one person after another go on about creationism though I clearly stated my intent to only discuss evo and science. And I have run out of ways to say it. You have failed to convert me, not because I’m stupid or uneducated, but because your theory is convoluted, contradictory, and unfalsifiable since no matter how many individual theories are debunked, the macro theory will be clung to. Sorry. I meant crucial in the sense that you are rightly, in my opinion, requesting creationists should be taken off the stand and evolutionists(even theistic ones or creation ones) put on, as it should be more important for them to validate their faith in light of the Word of God (not interpretation of, but the actual Word from God), rather than the other way around. My point from the Start of my participation on here was that it should not be assumed that evolution is the only way fwd for the church. And I believe you are helping back that contention. I pray that you will continue to interact here and elsewhere on this topic with grace and truth! As I like to say, “Why do evos look at the space shuttle and say ‘Design!’ yet look at its designers and say ‘Accident!’?” There seems to be no agreed upon criteria by which evo defines ‘design’, except that if it’s “natural” it just cannot be designed. Whether evo theory can offer one possible scenario for what we observe is beside the point here, since creation theory can offer another based upon the same evidence. Both sides can be charged with denial or lack of scientific rigor or whatever else, since it’s not the evidence that’s in dispute but its interpretation. Which, as I’ve been saying, is why evo is not to be equated with science any more than creationism is. That being the case, it hardly seems fair that only one side is continually grilled, condescended to, and told it has to answer every possible question, while the other enjoys the excuse, “We just don’t know yet”. By their own admission they will NEVER know, since their theory keeps evolving. So whenever I see the debate framed as between science and religion, I try to point out that the cart is being put before the horse, meaning the side claiming science must first establish its right to that claim. To automatically grant that label to evo is to lose the debate before it even starts, and to waste untold amounts of time trying to contort Genesis to an ever-evolving philosophical framework. I have been busy and things are going to get even more hectic for me but I see some points you make at times in this overall discussion. Yes, there has been a kind of evolution of evolution. Yes, interpretive philosophical frameworks work in defining the conversation (and I would say that is true whether somebody is promoting creation science, progressive creation, evolutionary creation, atheistic evolution, etc.) And yes, there may be some things that evolution can not answer yet or does not know but I don’t see how this is not as true about any other scientific viewpoints since science itself is limited and always trying to advance. Your last remark did catch my interest. Are you saying that Christians who believe in evolution contort the meaning of Genesis by reading evolution back into the creation narratives or did you mean something else? There are two observations I’ve made about how people approach the Genesis creation narrative: (1) the alleged proof of long ages forces their interpretation to allegory or poetic license, and (2) this in turn creates tension with other parts of scripture, e.g. the Ten Commandments’ reference to the reason for a day of rest out of every seven, as well as putting all of scripture into question regarding its literal or historical validity. To put it another way, without belief in long ages, there would be a lot less debate over “gap” theories, what “yom” means, whether Adam and Eve were literal individuals or just the first “modern” humans, whether there could have been death before sin, etc. All of those debates stem from the perceived need to reconcile the Bible with evo theory. Of course, Christians who believe in evo would resent the term ‘contort’, but no more so than I resent the debate being framed in such terms as “Creationists’ STRUGGLES”. That very title presumes that creationists alone have a problem, as if evo is beyond dispute. I hope someday that such discussions will not begin with the desired conclusion of one side. Thanks for the explantion Paula. I agree, I think the creation/science issues may be struggles for all and not just for any one group (we do pander towards group think and like to exempt our viewpoint or at least keep the spotlight on somebody else’s viewpoint and not our own). And there are certainly some who are continually trying to reconcile the Genesis account to the latest science of our day (from whatever scientific perspective one is coming from). Much of the contemporary problem with Genesis is thinking of Genesis from a binary, its either literal or symbolic dichotomy. This is a modern construct itself that one will not find coming from Scripture itself. My own understanding is Genesis does not teach science (particularly modern science) and that is not even the point of the book. Genesis is about idolatry and combating worshipping the God’s of creation (sun, moon, stars, etc.) rather than the Creator of the universe. Something Paul refers to in Romans also (ch.1). My last point is modern Christians often read the book of Genesis with their own specific concerns, modern scientific ones or otherwise. We don’t read the book of Genesis from its ancient near-eastern context much less even look at how the earliest Christian writers interpreted the book of Genesis. One can disagree if they want with analogy, types, or possibly reading the book of Genesis spiritually or Christologically or even with allegory (more a spiritual application of what the book of Genesis means to its later church context). 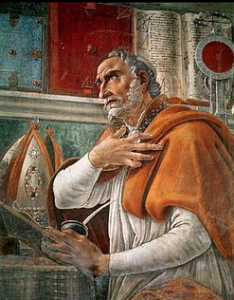 The interesting thing to this student of history is the early church fathers (1) don’t get caught up in our literal/figurative tidy and neat divisions like modern Christians do today; and (2) they do not take everything in the book of Genesis literally and even warn against doing so. 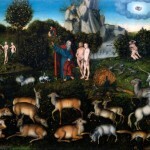 Here is one example how Melito interpreted the book of Genesis. Adam being made in God’s image means we are to be made in Christ’s image (almost all the earliest Christians were in agreement on this interpretation even though modern Christians are all over the map on what does the “image of God” actually mean?). Abel was murdered (like Christ); Isaac was bound (like Christ); Joseph was sold (like Christ). The early church fathers read the whole of Scripture Christologically, and therefore saw all kinds of “types” like Moses was almost killed as a babe (like Christ); David was persecuted (like Christ); the prophets suffered (like Christ). Even Paul gives an analogical/typological or allegorical reading of Issac and Ishmael (Gal.5). This does not mean that Paul did not believe these people were real or historical people but it does show that the literal meaning is not always even the main thrust of even the New Testament writers at times. When one reads the book of Genesis in its literary ancient context, it seems like the earliest followers of Jesus understood this book a lot better than modern Christians today. Your mention of trying to reconcile Genesis to the latest scientific theores reminds me of the oft-overlooked situation between the Roman Catholic Church and Galileo. The church was actually taking the side of prevailing science; it was Galileo who stood alone against both. Ironically, in spite of the very open and honest scientific attitude of Galileo’s legacy, now science has once again put on blinders, and the church has begun to walk beside it. It seems that true scientific progress only occurs in brief historic moments between the triumphs of those who cannot bear open inquiry. A good point as well about binaries, or false dilemmas. Yet the ancients, though not as chronologically strict and more interested in conveying a larger message, did not play fast and loose with the facts, at least as I believe is the case with the likes of Moses et al. The precision of the first chapter— “evening and morning, day the first”, for example— makes one wonder how much more would be required to communicate a precise chronology. Moses is thus either rendered incapable of telling us anything but interesting moral tales, or we have to accept that he really did mean to give a strict chronology. That, given the textual evidence, is an honest and unavoidable binary. If we know anything at all about the scientific method, and if something is considered meeting that standard in spite of unknowns (as has been asserted more than once in this thread), then surely this method has affirmed the literalness of creation week. Otherwise, we are at a loss as to how to determine anything at all beyond guesses and personal preferences. And of course, if we allow that God Himself would state in his own Word a chronology that is more deceptive than informative (that is, that he inspired error or cared nothing for how we were misled by either ignorance or deliberate falsification), then where are we? We have reduced the Bible to more like a personal mirror that only reflects our own wishes, and we have made the whole pursuite of knowledge a fool’s errand. People rarely consider the implications of their beliefs, because often the conclusions are frightful in their power to destroy our carefully-crafted worldviews. So for those reasons I do not accept the claim that we can consider the Bible to be inspired by God while also judging it to be full of the ignorance of ancient peoples. We are so sure that we know more than they did, in spite of a growing mountain of evidence that those ancients had technologies and knowledge of the world and the stars than we ever thought possible. The very science that uncovers these things somehow still believes itself to be superior. I think that when we finally enter eternity, we will be embarrassed at our hubris. Finally, I have no doubt that what was recorded was, as the apostle Paul said explicitly, for our instruction. But as you noted, we must not make the logical error of concluding that this means those lessons were entirely fiction. Can we honestly say that there was no Adam and Eve, no Cain and Able, just because they were a type or lesson? I’ve heard some people actually make that argument. When Paul cited Sarah and Hagar as illustrating carnal and spiritual Israel, we cannot say that those women did not literally exist; one does not demand the other. That too is a false binary. So when I say people try to contort Genesis to evo, I’m referring to their order of priorities, as if their theory is god over the Word of God. God, who invented the laws of nature (I often ask, Which came first, the laws of physics or the matter they act upon? ), would not create a false dichotomy between them and his own inspired text. People today seem too busy or distracted to pursue such things to their logical ends. They have been conditioned to take spoon feeding, to blindly swallow what any authority tells them. This is at the heart of my objection to evolutionism, and to falsely-framed debates about it. I think I understand what the problem might be since I feel like I am in the twilight zone in certain conversations, like this one. I think the problem is much like the problem we find in a court of law with attorney’s fighting a court case. Lawyers, and me too, can argue a case from any angle you want to angle the case. They simply generate the arguments that are plausible, then refuse to acknowledge any argument that does not fit their desired outcome. I see that with Paula in this conversation since she will not agree to any concept or idea that refutes her position, and she simply ignores the ones that are irrefutable. When someone debates in that manner then I find it quite frustrating because it seems that we have different motives in the conversation. I am trying to figure out what is true and what is not. I don’t think that is what Paula is trying to do because she refuses to acknowledge arguments that are valid, on pretty much any point of substance. Of course Paula would contend the same dynamic, but I think it is quite clear that the opposite is not true. I may take some time and show how that has played out in this conversation since it feels like I have stepped into a universe where people seem to be intelligent but use logic in only half of the ideas in the conversation. BTW, Paula, I did poke some rather easy holes in the site you gave us. That thing is a sham, shame and sin. Not even close to being reasonable. That’s pretty bold, DRT, brushing me off as merely arguing for the sake of arguing and refusing to acknowledge what I allegedly can’t deal with. I see things in you too, but I’m not about to smear you just because I can, though it would be all too easy to accuse you of attacking me because you can’t deal with my arguments. Claiming your arguments are irrefutable is not the same as proving them. And judging my motives isn’t helping your side at all. There, I said what you expected me to say, yet of course I disagree with your assertion that your position is “quite clear”. Others will judge that for themselves. I was having a nice conversation with CGC, but I guess that infuriated you and compelled you to lash out at me. Oh well. I almost never comment on this site because I feel well out of my depth most of the time. However, reading the conversation here makes me think that maybe giving you a quick account of my journey could be worth something. I was an ardent YEC advocate for a long time. I taught YEC in church and was very secure in my knowledge of how it all fit together. I had a nice coherent understanding of the Bible from Genesis to Revelation (well, ok – Revelation was always a bit of a mystery). It just seemed inconceivable to me that any professing Christian could believe in the Bible and still think evolution was true. But I became more and more aware of many Christians who I knew to be sincere in their faith, believed in evolution, and were educated, thinking people. How could they be so sincere in their faith and yet believe this? So about 3 years ago (roughly) I started on mission to understand how such Christians interpreted Genesis (and Romans, and Corinthians etc.). I read some of the books that were reviewed by RJS and found others that followed on from them. 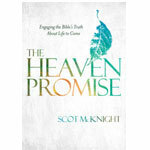 What I read was very troubling at the time – it forced me to re-evaluate what was the cornerstone of my faith. It wasn’t that I suddenly started believing in evolution – that wasn’t my focus – it was more to do with how I had been reading scripture. The work done by people like John Walton, various authors from Bio Logos, and many others made me think I had, up till then, created a false dichotomy in my own mind: I thought there were only two ways to look at Genesis, either literally or figuratively. Now I believe that both of those options are too simplistic and don’t give the proper respect to scripture, or the concept of inspiration. The conclusion that I have come to now is that – regardless of whether evolution is right or wrong – I have been mishandling scripture for a long time. Learning to properly handle it (as I understand what that means) has made me realise that the cornerstone of my faith used to be Jesus + how he fit nicely into my Genesis to Revelation picture. Now it is just Jesus, and I am working backwards from there to understand Genesis rather than the other way around. 1) understand and recognise that there are many many sincere and thoughtful Christians who are able to reconcile evolution with Christianity and still retain a “high view of scripture” (they don’t fall into the “liberal” category). Perhaps you already acknowledge this – I don’t mean to imply that you don’t. 2) try to gain an understanding of exactly how such Christians manage to do this – even if you disagree with their reasoning and conclusions. I was unable to dismiss their arguments as simply starting with a belief in evolution and re-interpreting scripture from there. For me, at least, I started with a YEC view and have had a major shift in how I understand scripture now. I still I have a high view of scripture despite that shift (perhaps higher now, because of that shift), but I’ve had to become more comfortable with having questions that I can’t know the answers to. If you would like more information about my journey, perhaps RJS or Scot can give you my email address. Paula – I don’t want this to descend into a word-parsing contest; I mentioned ‘mentioning motives’ because you said that was a reason to stop the conversation, and I pointed out I hadn’t done that. And so forth. I’ve pointed out several things about radioactive dating – first, that there are ways to determine the original proportions of parent and daughter element that don’t depend on guesswork – which is why I pointed out isochron dating. Secondly, the question came up – and I didn’t say you stated this, but the question came up – about radioactive decay rates varying. I pointed out three different areas (one geological, one astronomical, one cosmological) where that would cause effects that we do not in fact see. I will further note that I made specific statements about the ‘twin nested hierarchies’, and you ‘cross-examined those statements’, and I responded, but you haven’t addressed those responses. I don’t see why I can’t address other subjects (such as radiometric dating) while waiting for your responses. The main thing I really want to discuss with you is the ‘twin nested hierarchies’. The fact that the DNA tree and the ‘morphological tree’ (both of which we can look at today, no fossils or dating methods needed) match so spectacularly well, even though there’s no functional requirement for them to match, is really striking to me. I appreciate your sincere and irenic comment, and your taking the time to express your point of view. However, you too are making unwarranted presumptions about how and why I have come to be a YEC. Yes, come to be, not always was. I believed evo at first because I have always loved science and didn’t question it. But then questions began to arise anyway, not only for science but for everything, including the Bible. I have been my own strongest critic toward all that I believe, for many decades, and that process has not stopped. So when someone presumes that I am somehow afraid that my faith might be negatively impacted by the pursuit of knowledge, they start off burning a straw man. I harbor no such fear; one of my catchphrases has been “truth fears no examination”. You, like others, seem to think that (a) truth comes from popularity (“look at all those other Christians who believe in evo”) and (b) that I had never considered this before. Do you think I was born yesterday, that I am a novice in this debate? Why then do you urge me to do that which I have done all my life? I do “understand and recognize” many other points of view; I also know and recognize that “even the elect” can be fooled into rushing off the edge of a cliff like a herd of lemmings. I’ve addressed this fallacy before in this thread; why bring it up again? Your point 2 is the same as your point 1; it is likewise an appeal to popularity and a presumption that the only way anyone can reject evo is if they suffer from some fault. I don’t know how you’ve missed my stressing over and over of the point that my rejection of evo is because of science and logic. Why can no one grasp this simple statement? Again: why is it that so few here have understood that my rejection of evo is because of science and logic? Why can evos not stay on the witness stand for five minutes? Why must they insist upon changing the subject? What are they afraid of? This is pointless. Now I must move on, since most of you refuse to do what you accuse me of refusing to do: examine your own beliefs. Paula, I will put some more substance behind it, but my perception is that discussing how we debate is a valid subject here. I was not judging your motives Paula, I was trying to determine the approach you are taking in the debate. However, you seem to be judging my motives [you claim I judge yours, you are mind reading my expectation of what you should say, you say I was infuriated ]. That is what is not good here. Observing that you do not accept arguments is quite different from assigning motives. I also did not say you are arguing for the sake of argument. You are arguing, in my view, to prove your point, and that is quite clear. And I say again, I poked some rather easy holes in the site you gave and yet you continue to ignore that and say no one is addressing the references you gave. That is one example of you ignoring. Ray, I just saw your comment after I posted. But here again, you are trying to put ME on the witness stand by challenging me to refute you. I stated at the start that my purpose here was for YOU evos to try and ‘convert’ ME, NOT for me to refute you. I have referred to other articles written by people who know the various topics better than I, and have read both sides and concluded that evo theory relies upon layer after layer of fallacy and presupposition. Not science, evo theory. You seem incapable of grasping the meaning of “convert” or “convince” and mistake it for “condemn” and “belittle”. Goodbye. There is no denying your judging of my motives; backtracking now will not make the evidence go away. Your vitriol was palpable. You were “trying to determine” nothing but instead lashing out in frustration. You go on claiming to “poke some rather easy holes” but like the others, you keep wanting to be the prosecutor rather than a witness on the stand. Again, goodbye. Paula, until you tell us, as RJS asked, what sources you used to study science, or are willing to tell us your background in reading about an old earth and evolution, then simply asserting that you use science and logic is simply seen by me as an idle comment with no meat behind it. I believe that your references have all been creationist renderings and it appears that you are not familiar with the more mainstream literature. Ray is not asserting that truth comes from popularity, he is saying that you should read the sources that have been shown to have the best arguments because they have stood up to the most rigorous examination and have withstood it well. I also don’t see anyone making a presumption about how and why you came to YEC. Your debating style here is quite interesting to me because you keep ignoring so many of the things people say to you and then compound each avoidance with additional unfounded accusations that take the focus away from what they are saying. I find the style amazing. Paula, my response is in number 56, these are easy holes. Please respond. The reason I want to understand your debating style is to help the debate along. If I can’t understand the approach you are taking to this then I can’t appreciate your perspective and then I won’t be very successful in talking to you. I want to truly understand your approach so I will be a better conversation partner. So far it seems that people have largely interacted with you the way I would interact with people, perhaps with more patience than I can often muster, but in the same way. And it is clear that the style being used with you is quite ineffective, like you are immune to it. I find that fascinating. And I am re-reading much of the thread to figure it out, and it looks like your basic stance is a big part of it. You say that you are expecting people here to convince you of the veracity of evolution and old earth, and when they do that the best they can with good articles and books and attempting to find common ground of things that you have studied you simply ignore that. So, in effect, you make it impossible to do what you request. So many here start to take a different approach and try to poke holes in the creationist sources you cite, and try to show how that perspective is not a very good one, and you have a couple canned responses to that. Either you parlay by claiming that you are under attack and they should get the conversation back to having to prove evolution, or you simply ignore the attack when it was in direct response to your request. Like my number 56. So you see, your method is worth examining here because it can give people an idea about how to talk with you. I think you have set up a system of argumentation that ensures your outcome. Fascinating. Don’t know if you are still looking in here but if you are please listen to Phil (90). As he implies (says) this has next to nothing to do with biology. Biology was just Phil’s catalyst – it could have just as easily been archeology, literary analysis or language study. The issue is how Scripture is interpreted, and this is very dependent on what we expect Scripture to do and say. Like all other study, asking the right questions is the most important first step. For example, Paula, what mistake(s) do you think the Russian cosmonaut was making when he reported that he did not see God (god) on his trip into space. Looking in the wrong place? Looking for the wrong god? Asking the wrong question of the data at hand? You can easily see from this simple analysis why his conclusion was so far off. First and foremost, my reason for posting is not to “argue” or to “convert” anyone to one side of the fence or the other. While I have my views, I don’t feel that these views should be as divisive as they are. While I do believe in evolutionary creation my wife is a creationist. We have had some interesting discussions but obviously neither of us is sleeping on the couch because of it! With that said, I want to summarize a few of the things that you said. To begin, you say that the religious sphere shouldn’t take on evolution before science itself proves/disproves it. To show how evolution is not science, you provided a webpage “scienceagainstevolution.” First, I want to show why I am not a fan of the website you provided and share some links to articles/pages that disprove some of what is there. After that, I want to show that evolutionary theory is science because it is based upon hypotheses and evidence and it is indeed falsifiable. My point is not to argue/convert but to discuss. Notice the plural usage “Since WE don’t believe” and “Here is OUR answer.” To me, as I have gone through the website and looked through its contents, I have seen one author to virtually every article. I also have not seen any page showing scientists who support the page. To me, this seems to be misleading (though that may be a personal opinion). Also to note, the person who is supposedly taking on evolutionary science (and those who have vested their lives in it) is a retired Computer Analyst with an Electrical Engineering degree. Now, I will not say that a Computer Analyst cannot know or understand evolution but I would expect some peers from fields of biology/genetics/paleontology/geology to add their articles showing how evolution is not science. As science is broad, I would expect more than one personal opinion covering the whole range of evolutionary science. A great website that gives summaries to questions about evolutionary science while providing excellent source information (and many links to that source information) is http://www.talkorigins.org. On this website, you will find many articles that will refute many of the claims on the webpage you provided. For example, the dating of the fossil record and sedimentary rock is no way circular (http://www.talkorigins.org/faqs/dating.html). Another example shows that random mutations have been observed to reveal new features (http://www.talkorigins.org/indexcc/CB/CB101_2.html). A final point. Evolution is a scientific theory because there have been various hypotheses in so many fields of science (geology, paleontology, molecular biology and physics to name a few) that support it. There have been numerous tested hypotheses in each and every one of these fields that show it is more than a “philosophy” (though many can make it a philosophy or worldview to guide life such as Dawkins/Coyne). If one or two tested hypotheses seem to contradict evolution the theory would not get discarded but would get adjusted (the theory is much different now than what Darwin first proposed). But if various hypotheses in each of the mentioned fields start to be proven, then the theory would be under much more fire until it would come apart and be discarded. 1) If there can be proof that reveals the age of the earth as a young earth, evolution would be discarded as mutations would not have time to naturally bring us to where we are today. What ends up happening because of this is one of two things. Either creationists have to say that the majority of evidence showing an old earth is flawed or they say that God created the earth giving it an appearance of an old age upon creation. Obviously, the only way to disprove the age of the earth is to find flaws in the dating methods which is what many creationists have tried to do. 2) As stated before, another way to falsify evolution would be to find groups of fossil rabbits in the Precambrian. This point looks like it would be beating a dead horse, so I will not go further on it. 3) If a brand new species that did not share any DNA/RNA traits or genetics with any other species appeared, it would seriously damage the theory of evolution as well. This would reveal that life is not linked together and all life would not descend from a common ancestor. 4) Finally, if mutations were either not revealed to occur or not passed down through the generations, evolution would be falsified. Also, if mutations could not be shown to reveal the types of structure that drives natural selection or that the mentioned selection does not favor the success of better adapted individuals. Paula, I will stop this comment here as it is beginning to get long. In no way do I expect to “convert” you to believing in evolution and in no way is that my goal. My goal is to converse about the website you proposed and to show that evolution is, in fact, science. Blessings to you and have a great day! But here again, you are trying to put ME on the witness stand by challenging me to refute you. If I’m on the witness stand, I should be cross-examined, no? I “testified” in #55, you responded in #59, I replied in #66, and so forth. I thought I answered your cross-examination. Am I supposed to be “testifying in the narrative”? The thing is, those trees really do correspond to an extraordinary degree, and there’s no functional reason for them to match in that manner. The odds of them matching by chance is Vanishingly small. “Descent with modification” naturally produces such patterns; I’m not aware of any other process that does so. That is really powerful evidence for common descent. Debate style aside, specific points aside, the fact that Paula has given up interacting here is a bad sign to progress in these dialogues. If perspectives like hers are not welcomed here, and everyone just gangs up on her and trys (unsuccessfully) to pin her into a corner, what is the point? Joey, the point with Paula is her debate style. People gave her information and answered her questions over and over. She refused to engage in a way where the conversation can move forward so it was not dialogue. It is not that her perspective is not welcome. How would you respond and engage with Paula’s points? I agree the debate style here has been difficult. But I just want to see people like Paula remain in the conversation or I don’t know how anyone here will grow much. I won’t entirely defend Paula’s “debate style”, but I also think it appropriate to consider that her style is not the entire problem. Perhaps your style and that of others is flawed as well? I personally would benefit more from consistent participation on here from people who reject evolution on scientific grounds. Those people are out there, and somehow I think they need to be more welcomed and encouraged on this blog, even if that means before they are screened for expertise. They do not have the corner of truth. But my goodness, neither does anyone here. In general, if I reduce this conversation to my simple mind as a debate as to whether evolution includes a component of faith, and see that some claim it doesn’t, I laugh and cry at the same time. I don’t understand what you are advocating. Do you want everyone with their own science to have equal say? The UFO people, the satanist, the Elvis sightings? Actually, I am with Joey on this one where it seems like one person is arguing, debating, or being questioned by a whole list of people on a particular subject. Even if some people didn’t like Paula’s approach, I actually liked many of her responses about scripture despite what she or others were trying to say about science. Actually, if it was not for Paula, this whole discussion and thread would have been dead a long time ago. I just wish more people like Paula would come and challenge others and be challenged by others but I don’t know how I would handle trying to present a perspective on a Christian website where it seemed like I was the only one holding to a certain position? I have been on this list a short time but it seems like the discussions get a little testy and even demeaning at times when it comes to discussing either the role of women (God help those poor, uninformed complementarians) or the origins of life on earth (God help those poor, uniformed Creation-Science folks). I can imagine how some people may either feel misunderstood or worse, ganged up upon on this list. Let’s be real for a moment, why do the Creation-Science people rarely if ever even attempt to discuss their views on this list? Maybe this list is not as safe as we like to believe? I believe one person just recently said in an earlier thread that he was an actual scientist who was also a YEC but I noticed he did not attempt to even try to discuss his views here. Again, I wonder why? I wished jpete79 would have came into the discussion much earlier (it’s probably too late now) but I think his approach was helpful. I don’t know if it would have been helpful to Paula but it would have been helpful to me if I was maybe coming from the YEC side of things? I think the YEC viewpoint is profoundly wrong but I hear it is rumored they too are made in the image of God. Do these kind of responses really inspire dialogue or convince others to the errors of their ways? Sometimes we can win a battle and lose the war when it comes to other people! Thanks CGC. As I said before, my respect for and appreciation of you continues to increase. Thanks for the vote of confidence in my discussion style. My story is relatively unique in how I arrived to where I am in my theology. I spent a few years overseas in a “closed” country. In that environment, I was there to study Arabic and while studying, I spent plenty of spare time attempting to “convert” those around me. What I found was two-fold. First, I needed to respect them (and even their belief systems) to love them without an ulterior motive of conversion. This meant that, while praying that one day my friends would believe as I believe, I could not develop a relationship with them based on an outcome that may never happen. Second, simply sharing my faith would not win anyone over unless their own belief system was challenged first. Ironically, what I found when I arrived home was that I didn’t even respect or love those who confessed to following Christ and believed differently than I did. A great example is that I was an avid Young Earth Creationist who discounted anyone who believed in evolution and called themselves a follower of Jesus. This included my own sister! What was even more ironic is that as often as I told my friends overseas to challenge their belief system, I never truly challenged my own. I became a Christian due to experience and reading Scripture but trusted the opinions of the majority around me when it came to topics such as evolution, gender roles, etc. After returning home, I really started to dig into my theology. Since this thread is regarding Creationism, I will stay on that topic only. As I began to research on the topic of Creationism, I found a few things. First, the modern philosophy of Creationism doesn’t have its roots in science as much as Adventist faith. Second, many websites/books/etc that attempted to dispute evolution did so by using less than honorable methods. Third, many great Christians who are part of our spiritual lineage had no issue holding to positions that were not in agreement with Creationism. And finally, evolutionary theory does not have to be contradictory to Scripture. I will not go into every detail of each step but will say that my faith has and will continue to be a journey. I do not think it has arrived to its final destination and don’t think it ever will because it will continue to adapt and change as new discoveries are made in the world. I will also say that it is unique to me and it is what it is because it has been challenged. I stated in my earlier post that my wife does not share my viewpoints. I can say that she too has studied much about this topic and believes differently. So should it be considered sad that she does not believe in evolution? No! The reason why is because she can understand it being taught at school as a scientific theory. While she doesn’t believe it as “true” she doesn’t discount it as false science. But more importantly, her life is driven by her relationship with Jesus first and her interpretation of Scripture/Science second. In other words, her viewpoint of Genesis is not an influential factor in her following of Jesus in her life of loving others and loving Him. I guess what I am saying is mutual respect is mandatory and essential if any discussion is to occur. I probably could understand where Paula is coming from. After all, I am the only person in my Church who believes women should be able to participate in leadership and also the only person who believes evolution is compatible with Scripture. My perspective is that because my beliefs are different, I am looked down upon by many in my Church (who know my beliefs). I feel I am not respected, I am considered naive and I am considered ignorant. This very easily could be how Paula (or anyone else) could feel on this thread. Again it helps to remember, mutual respect and love is what will lead to discussion. If either is missing, the doors between differing viewpoints will remain shut! I love the power of story and biography. I appreciate so much all those who have shared your personal journeys, your struggles, and what brought you to the place where you are now. I sometimes wished we did this more on this list. I suspect I would be blown away by many people’s stories (the good, the bad, the beautiful, and the ugly). Thanks Jpete79 for sharing your story and for your compasson towards others. I am saddened your church does not respect you. I’m sure there would be many churches out there that would but I also understand God has us in some places not because its comfortable or easy but it may be the place God wants us planted for now? Please read this article about fallacies; I wish I had found it sooner. I looked at Stephen E. Jones website that Paula listed. He is an old earth progressive creationist who is against evolution (so if one believes in an old earth, that is some form of evolution?). 1. I wish we could get all the specialists, those who are scientists in the same room together whether they are PC, CE, or YEC. I would rather overhear that conversation than by so many of the non-specialists who simply follow their favorite rep or blog site. 2. Jones whole focus is against scientisim, athiesm, and naturalism. I don’t know what the implication is for creation-evolutionists? They are cryto-anti-supernaturalists without realizing it? They are using a methodology that leads to atheism? 3. We all have fallen prey to logical fallacies in our thinking or how we treat others. Again, although Paula must feel that is what creation-evolutionists are doing which is similar to all the illustrations that Jones raises in protest against atheistic evolutionist claims. In one sense, we all need to be on our guard against logical fallacies. On the other hand, it may be that a kind of guilt by association fallacy is being used towards those who happen to believe in the science of evolution and also happen to be Christians. 4. I think Paula and Joey raise a question of evolution is sometimes a kind of given or assumed to be true and that it really does not have to be proven or substantiated. I think this is an interesting point that should be considered. I mean, the whole reason Allan Rogers (a high school science teacher) wrote his book “Evidence for Evolution” was because so many of his students simply believed or assumed evolution was true and they could not really give evidences to show why it was really true. Kind of sounds like the church. People know what they believe but it goes south real fast to explain why they believe what they believe. Many of the fallacies that Jones lists are real, significant fallacies – and fallacies of kinds that are used by some who argue pro- or anti- evolution postions. But others seem to me a bit misleading (like the one that wants to drive a wedge between micro and macro evolution). And, of course, I agree with him on things like the importance of pointing to the difference between the scientific arguments and the metaphysical arguments. Scientific materialism and ontological naturalism are metaphysical conclusions, not strictly scientific ones. At any rate, it is crucial that we argue about the ideas accurately. It is so important that we argue about ideas accurately but I think even in many Christian discussions, “how” we argue ideas (even accurately) may be more important. Does the other person feel respect and listened to? Are ‘others’ talked to or talked at? There was a major problem; the data I was seeing at work, was not agreeing with what I had been taught as a Christian. Doubts about what I was writing and teaching began to grow. Unfortunately, my fellow young earth creationists were not willing to listen to the problems. No one could give me a model which allowed me to unite into one cloth what I believed on Sunday and what I was forced to believe by the data Monday through Friday. I was living the life of a double-minded man–believing two things… But eventually, by 1994 I was through with young-earth creationISM. Nothing that young-earth creationists had taught me about geology turned out to be true…And being through with creationism, I very nearly became through with Christianity. I was on the very verge of becoming an atheist. I did not know you were an atheist. Thanks for sharing the Glenn Morton comments! One of the things I do is try and understand how we can advance ideas in the world. We all have different levels of directness that we are comfortable with, and I contend that the issue is largely related to that level of comfort once we get things like ad hominem attacks out of the way. Each of these avenues for conflict has a price associated with it. I am someone who works on a spectrum depending on the situation, and depending on the maturity of the conversation. In things that are not really important I use, like many, avoidance, smoothing etc. But when our purpose is to debate a topic, or I am here to deliver a product, as is the case in PM, then the best approach is generally confronting. Sure, we can confront with soft gloves or a baseball bat, but the best approach in my view is to confront. Notice this is quite different than forcing. I, certainly did not force anything in this conversation. I have no ability to do it. I realize that many people are not very happy with confronting. But it sure seems to me that Paula was very happy with confronting as long as it was her that was doing it. Do you feel that confronting is warranted? Not just high school. I once had the humbling experience of taking on the enlightening challenge of teaching a section of a first year biology course (soup to nuts in one of those big classes in a big university – all former students can now groan out loud). It was great fun for me, and according to at least some of the student evaluations, fun for them. It would upset one of my old deans to hear me say this, but I did learn more than the students. I used to tease my older colleagues who still spent all their teaching time with upper classes and grad students (as I had been doing for 25 years) that I could set an exam that the freshmen students would pass and that they would fail. That is how fast biology is growing in knowledge. Some anti-evolutionists would say ‘changing’ but that misses the point of how science is always building on a well built foundation. Our western propensity to major in the details, deconstruct, wallow in the weeds, differentiate rather than integrate (does that work DRT? ), and generally miss the forest for the trees is at the heart of so much conflict and misunderstanding. In our discussions on Scripture, it would be so good if everyone could stand back a bit and let the grand story roll over us. I think that is one of the things that so attracts me to writers like N.T. Wright. We should not be so concerned about protecting our precious doctrinal details that we miss the whole pageant. It has to be warranted sometimes, the question is when. The decision almost always requires a case by case analysis. If one touches on the specific problem at the right time, the results can be remarkable. If one is in doubt, in a case like Paula’s for example, maybe just reminding her that she is being confrontational when others are not would be a good first step. Wouldn’t even hurt to ask for an explanation of why the person feels a confrontational stance is necessary. I certainly see a place for confronting. But I have noticed a trend on Jesus Creed that so far (I’m sure there will be other areas as I hang out here longer :-), that the level of conversation deteriorates on the subject on the role of women in the church and if someone is anti-evolution on the science thread. I just think we can do better. Nor do I want to be talking to the choir or be having a monologue where everybody agrees with everyone else because anyone who disagreed has jumped ship. I quess the irony is if I remember right, Paula was pretty confronting with her egalitarian views. But I suspect there are a lot of YEC on this list who for whatever reason, remain silent and their voices are hardly ever heard. Heck, I wish the atheists would even speak up more. Not so there can be more conversations or debates, but I would hope respectful conversations that we can all learn from. Actually DRT, I was only a half-convinced if that (? ), evolution person when I joined this list. Nobody on this list changed my views. I was simply challenged to study the issues deeper and as I did, my mind was changed. I also recognize our personalities and tendencies goes between love and truth and trying to be ecumenical to winning an argument. Hopefully whatever our tendencies, iron will sharpen iron and we all will be better for it in the end. I listened to this series awhile ago and thought it was instructive for me learning the field for debate in these subjects. I think I will listen again. CGC, to be fair you at least have to add the issue of Israel as a nation to your list. You have to unpack that one for me? And when it comes to Israel as a nation, if people think the state of Israel is Israel, that would be a massive confusion. What I am saying is that the post on the status as a nation that has been discussed this past week is equally as contentious. And there are many others, including inerrancy, the perspecuity of scripture, intelligent design, contraception, adam and eve. The point I am making is that people are confronted here all of the time. The issue may have less to do with the one doing the confronting than the reaction of the one being confronted. I have been confronted quite frequently and I try to use each of those as an opportunity to grow in my understanding. I would not come here if I was not confronted because then it would be doing no good. Paula did not leave because she was confronted. She left because she did not want to face the accusation of the what I said. She could have easily said that she would read the articles, but she did not. Or said that when we present evidence for the innacuracy of her sources she would respond with credible evidence, but she did not. Or that she would not send the conversation back to the beginning and claim that she is here to be convinced (which is impossible because she would not read or acknowledge any information given to her), but she did not. The issue is not the confrontation, the issue is that Paula is not giving good argumentation and I called her on it. If I am not doing that then call me on it. Show me how. I have made peace with people here many times and help de-escalate situation with people and have tried to provide mediation many times. But then there are times when we execute judgment and my judgment said that it was time to confront Paula with what she was doing. ..and CGC, my comments were very constrained. If you look back at Paula’s posts you will see many examples of ad hominem attacks that were over looked by multiple people here in the interest of having differing opinions expressed. No one gets the kind of lattitude that was shown to Paula here. Yet it continued to get worse. I too chose to not make a big point of the ad hominems, but instead found a way where it could allow a fair conversation. Like I said, there are many responses to what I said, but I now realize that she had not thought that she would have to defend her method of argumentation. It was obvious that she is taking methods out of context and throwing them back at her conversation partners, and we were all too polite to say that since it too could be seen as some sort of ad hominem. I chose a method that was the best compromise I could think of in this and that is what I did. There were plenty of ways for her to respond that would have moved the conversation forward. I don’t disagree with any of what you are saying here but you need to know something about me. I have a way of being for the underdog. Sometimes the underdog is wounded or even rabid 🙂 It’s just how I am wired. I am even tempted at times to join someone or a small group of people and try to help them out (not because they are right, often they are wrong) but there is something inside me that wants to root for the minority or losing team. When I was in Bible college (many moons ago), the dean called me into his office and asked me what my problem was? I asked him to clarify and he said that many of the students that got kicked out of Bible college, I had hung out with them. I asked him what was wrong with that? He said more bluntly, “Why do you hang out with the losers?” He was shocked at my answer when I told him I thought that is what Jesus would do. The conversation was over at that point! PS – You’re right, I hadn’t thought about all the other threads you listed where there was contention (the contraception issue got pretty heated). I quess because I was not engaging those conversations that much . . . I tried to be ecumenical and help the Israel/Jews conversation out and after I posted, it died. I’m not sure what that really meant? Was that a positive or a negative?